Explore the stunning nature and sprawling mountains of Albania on foot on this 2-day hiking tour. 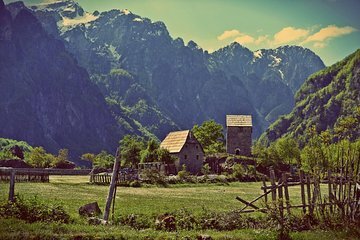 Depart from your hotel with a driver-guide and make your way to the Albanian Alps. Hike through Theth and Shkoder and learn about the history of these places. Enjoy overnight accommodation and meals on your trek.